From now on, you can use your Postcron account to manage your Google+ pages (in addition to Facebook pages, Facebook groups, and Twitter accounts). 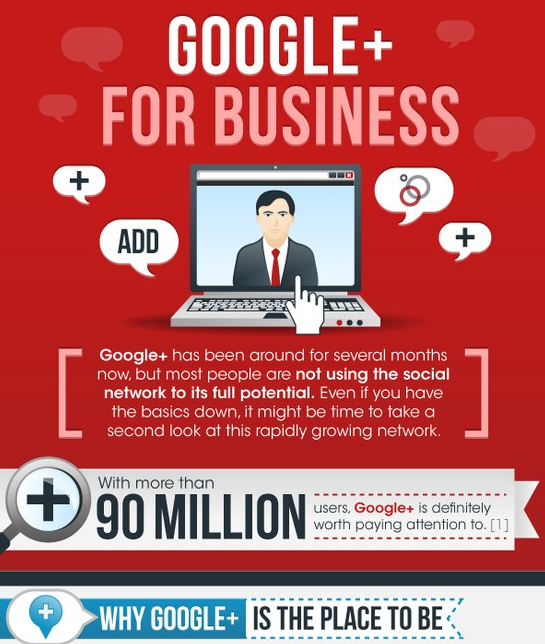 Google Plus was established in the beginning of 2013 as the second largest social network in the world, having over 500 millon users. However, it seems that in this part of the world, no one's really started to feel the presence of this giant yet. BUT, you should know, that failing to take this seriously means letting a priceless opportunity for your business go to waste. Why? Because Google is making history and you can be part of it. Even better, you can get the ball rolling and start taking advantage of it right now! In this post, we'll let you know which features make this social network so great, where it's potential comes from, and why your brand needs to be part of Google+ NOW. And last but not least, we'll show you exactly how to do it. Before officially starting this article, we wanna set two things straight (even though they might seem obvious), as the saying goes "common sense is the least common of all senses". Google Plus isn't Facebook. It's not Twitter either. Google Plus isn't just Facebook or Twitter's "competition", nor was it created so that Google wouldn't "fall behind". And it's by no means trying to replace either of these social networks. G+ is a completely different (and awesome) experience. It's part of a bigger plan launched by Google, in order to evolve the way we relate to one another, how we communicate with the world and with our OWN personal world. That's why it's SO exciting to have the chance to participate and do something about it before it's all over and stops being news. 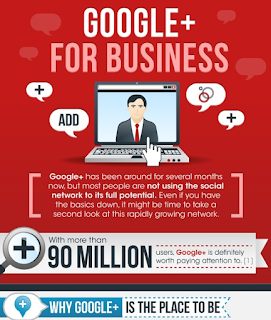 Google Plus and the "ghost town" myth. Many of you out there probably already have a G+ profile, but when surfing through it you get the feeling that "nothing's happening" or that "no one you know is there". This feeling makes sense because Google Plus wasn't created specifically so you can "spy" on and find out about the life of your long-lost love or look at pictures of your highschool classmates or take a look at how your niece's birthday party turned out. On the contrary. This social network encourages you to build new relationships based on your passion, interests, profession, or career. It offers a space to find information that's relevant to you and to share it with people who have the same interests as you, not every single person on your friends list. This helps you widen and build a new network of contacts. 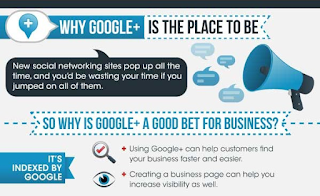 G+ also allows you to bring your brand closer to your followers and prospective customers in a new unique way, much different than other social networks do. There are already 500 millon people on it and it's only up to you to connect with them and all the others behind Google. After all, let's not forget, if you're part of G+, you're part of Google. WHY USE GOOGLE PLUS: 10 IMPLACABLE REASONS. 1- G+ isn't a space for temporary, limited, 140 characters updates like on Twitter. And its not for meeting up with people like on Facebook. What makes it different is that Google Plus is promoted by the biggest technology platform on the planet. And that, my friends, should be taken advantage of, because what happens on G+, you know will be prioritized by Google. 2- Because in only a year and a half it grew exponentially and established itself as the second biggest social network in the world. And guess what? You have the chance to be part of this new experience, one which sooner or later EVERYBODY will be part of. Remember Twitter's story? At the beginning no one was sure about how to use it or why to use it. But, the brands that got there first got the best part of the deal. 3- Because everything you post on G+ is immediately indexed by Google. Thus, influencing search engine results positively. We know this is huge for companies and professionals, because the websites that appear on the first page of Google, and especially in the first few positions, get 54.8% of all clicks from users, according to a study by Optify. 4. Because entering the world of Google Plus means having a great deal of resources in one single place: Hangouts, Communities, Youtube, Google, Gmail, Google Maps and other dozens of products. Each of these was created to benefit and optimize your marketing strategy and take your brand even further. 5. Because Google is offering us an innovative way to relate to the world in general, and especially to OUR world. Through the personalization of Google's search engine, they give you the opportunity to find specific information related and adjusted to your interests, preferences, and to those of your social environment (G+). It's so amazing because it combines information, people, and context. Thus, if you manage to join this "new world" and can utilize this "new way" of finding and relating to people before it becomes a common thing, your brand will show up in the searches of thousands of users that are already in your circle. And, let's be honest, that'd be more than AWESOME. 6- The +1 button allows people to establish what's trendy, beyond those robotic algorithms that rank a website. According to Hubspot after analyzing more than 5 thousand websites it was revealed that the sites that use the "+1" button get 3.5 x more visits on Google+. 7- Because you can add authorship to your content. What's that? Well, in a few words and in order to make it simpler, this puts your profile picture next to your content in Google search results. It also allows you to build up your status and foster trust among users, thus affecting the amount of clicks you get, the traffic, and the visit volume. There are just too many benefits to count! 8- Because your brand can participate in different communities, (which can't be done on other social networks).This means you don't have to sit around waiting for users to wind up on your page, instead, your brand can go around the world actively connecting with people. On G+ it's easy to connect with prospective customers by finding them in groups that share the same interests as your brand. This is just one example and the strategy can actually go much much beyond that. Hangouts on Air (HOA) offers an excellent opportunity to get closer to your users by means of live demonstrations, debates, and online conferences (uploaded automatically to Youtube). Anything from displaying how your new application works, gathering French cuisine lovers, cooking a recipe online, to performing a live demonstration of a product can be "broadcasted" and watched live or later. You can take full advantage of HOA in so many ways that work for your brand or business. 10 – Because you can be the place where your customers want to be. With Google+ Local, users can discover and share places. Through the scoring system they can get information and read reviews of a business before even visiting it. The info comes from those who have already been there and/or are already part of THEIR circles, hence, people they know and trust. So that you can really see why we insist that using Google Plus has such great potential, we're gonna give you a series of links that you can't fail to read, watch and analyze! 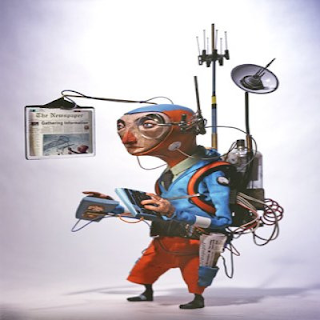 In reason #5 we said Google was putting a new way of looking for, finding, and connecting with the world and with YOUR personal world into motion. With "plus Your World" Google understands not only content, they understand people, relationships, and the context that surrounds them. Shortly, probably sooner than we think, we're gonna be able to enjoy these three new features Google has created for just this purpose, which your brand has got to make the most of. Profiles and Pages which help you find people profiles and Google+ pages related to a specific topic or area of interest, and enable you to follow them with just a few clicks. Because behind most every query is a community.